The New Zealander stressed the importance of continuity ahead of the Friday's Six Nations clash in Cardiff. 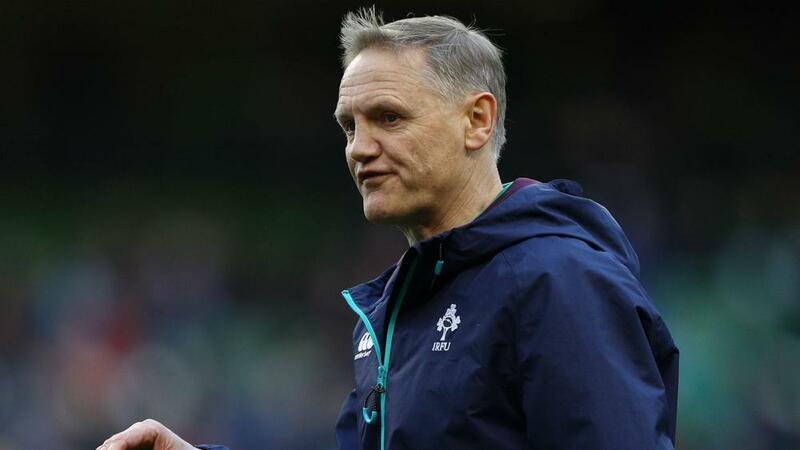 Joe Schmidt hailed the benefit of continuity after the Ireland head coach was able to name an unchanged starting XV for Friday's Six Nations contest with Wales in Cardiff. The New Zealander has named the same starting line-up that defeated France 19-9 last time out in Dublin and the only difference to the squad of 23 sees winger Tommy Bowe come in for the injured Andrew Trimble among the replacements. Victory against Wales - who are also unchanged - at the Principality Stadium will leave Ireland on course for a final-round showdown with defending champions England in Dublin and Schmidt highlighted the importance of having a settled team. "It's [being unchanged] probably about as beneficial as it is for [Wales coach] Rob Howley," Schmidt said. "It's the first time we've been able to do that. When we won the championship in 2014 and 2015 we actually had minimal changes week to week and grew as the tournament went on." Versatile back Jared Payne missed out on selection despite being included in the training squad for the first time since the November internationals after recovering from a kidney injury, having sat out a session on Thursday with an ankle knock. Schmidt is happy to have Payne - who is instead set to play for Ulster against Zebre in Pro12 - back among his options, but also emphasised how impressed he has been by Robbie Henshaw and Garry Ringrose's midfield partnership. "He [Payne] was sharp this afternoon when he trained and that put him in the frame, but he's just not had enough time with us. I think for his confidence it's good he'll be involved with Ulster at the weekend. "Sometimes you're happy you don't have to make calls. Robbie and Garry have a really good relationship and we're building on that, selection may be swayed by cohesion, but Jared and Robbie played well together as well." Ireland: Rob Kearney, Keith Earls, Garry Ringrose, Robbie Henshaw, Simon Zebo, Jonathan Sexton, Conor Murray; Jack McGrath, Rory Best (captain), Tadhg Furlong, Donnacha Ryan, Devin Toner, CJ Stander, Sean O'Brien, Jamie Heaslip. Replacements: Niall Scannell, Cian Healy, John Ryan, Iain Henderson, Peter O'Mahony, Kieran Marmion, Paddy Jackson, Tommy Bowe.